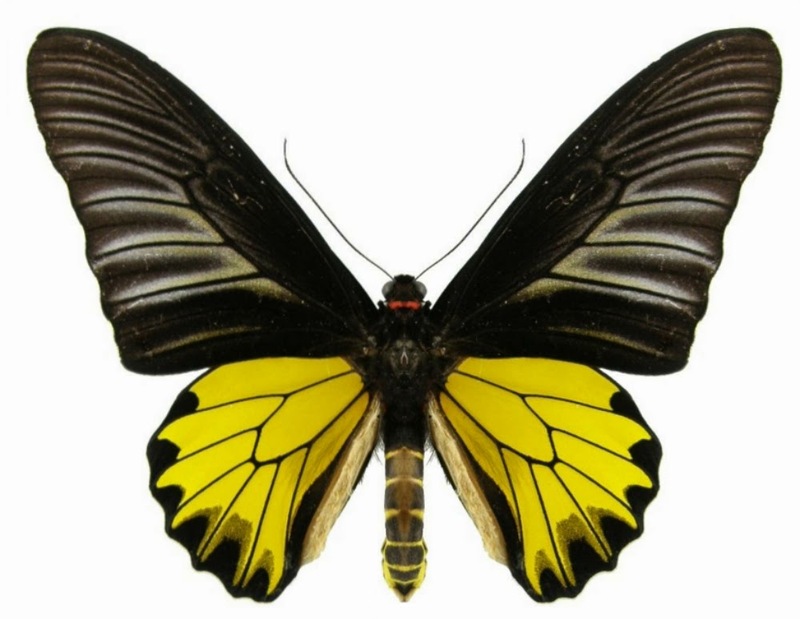 Troides is a genus of golden bird-wing butterflies that belong to Papilionidae family (swallow tail butterflies family). They are large, beautiful butterflies that found in Asia. They are typical with shinning black fore wings and brighten golden hind wings. Name of the genus was mention to City of Troy with related to famous Troy War and Trojan Horse. Troy is well-known to both history and legend, it is an area in north west Turnkey today. Troy is the center of Trojan War, between Greek and Trojan, it lasted about 10 years. 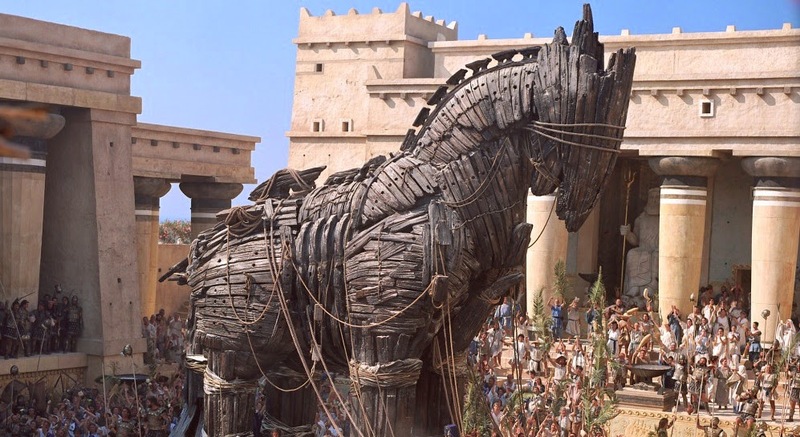 The war was finished with a fighting by the way Greek army as they tried to get in to the city via a giant wooden horse. 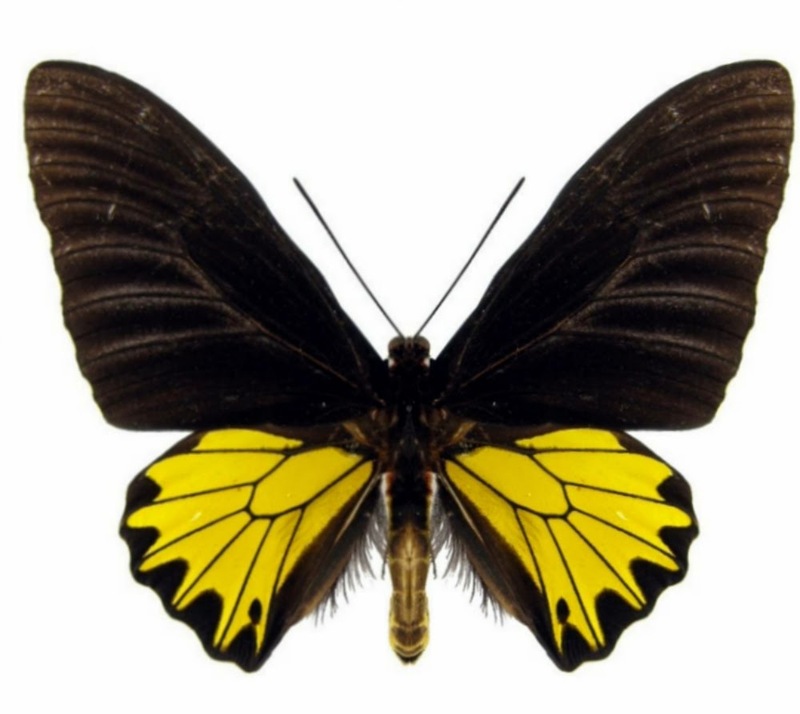 There are 21 species of the genus Troides butterflies that known around Asia but only 2 of them have been found in Vietnam, Troides helena and Troides aeacus. The later difference the previous species in some part of the hind wings with a mix scales of black and lemon yellow make some grey marking areas. They are quite common species. 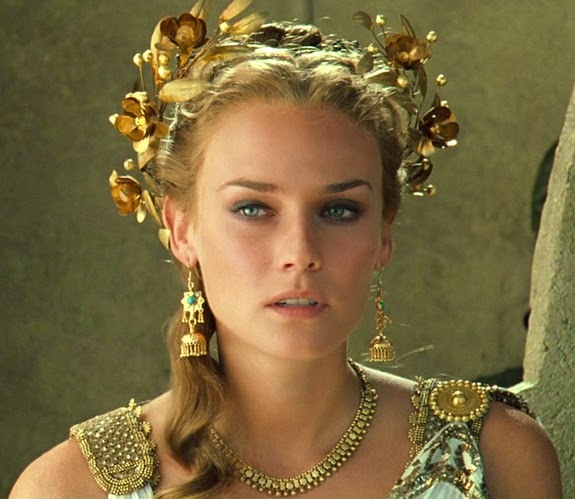 The species Troides helena was named after Helen, in Greek mythology, she was daughter of Zeus and Lenda, and she was the most beautiful woman of the world. Her abduction by Paris brought about the Trojan War. Name of the second species Troides aeacus related to Troy in another story of mythology: two Gods, Apollo and Poseidon, during a time when they were being punished by having to work among men, built the city of Troy for Priam's father, Laomendon. They invited a mortal man, his name is Aeacus, a son of Zeus and Aegina, to help them, since destiny had decreed that Troy would one day be captured in a place built by human hands. Difference of Troides helena (left) and Troides aeacus (right) with the different parts of the hind wings.